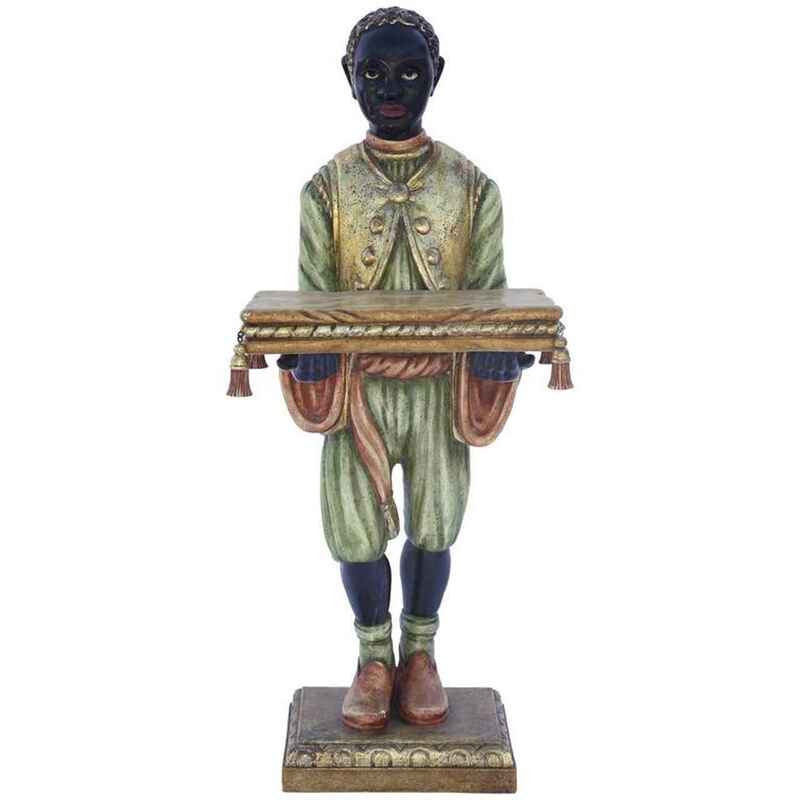 Blackamoor, of hand-carved wood, with polychrome painted finish, a male figure in period dress, presenting tasseled pillow on extended arms standing upon a rectangular plinth. CONDITION. Excellent antique condition. Wear consistent with age and use. Blackamoor, of hand-carved wood, with polychrome painted finish, a male figure in period dress, presenting tasseled pillow on extended arms standing upon a rectangular plinth. CONDITION. Excellent antique condition. Wear consistent with age and use.